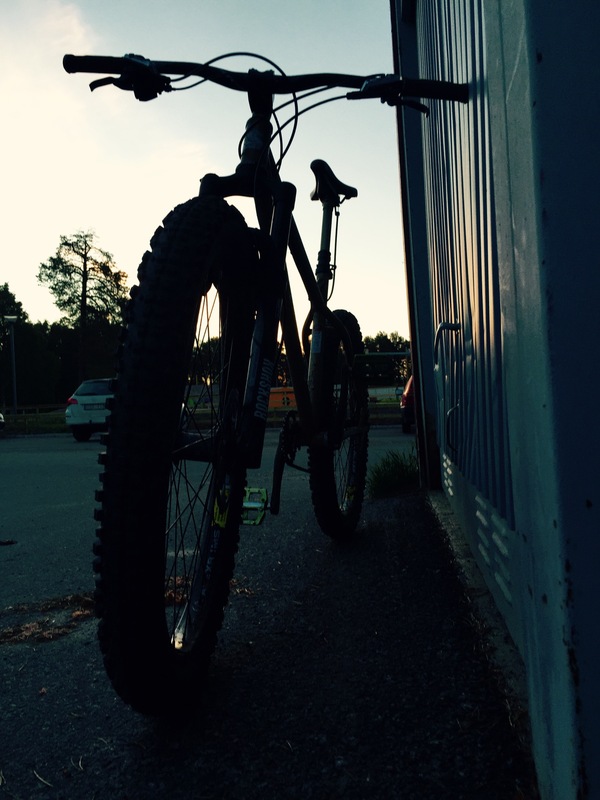 Every year Sven has his own little tradition to go ride in the midnight sun on the brightest day of the year. This time he invited some friends. 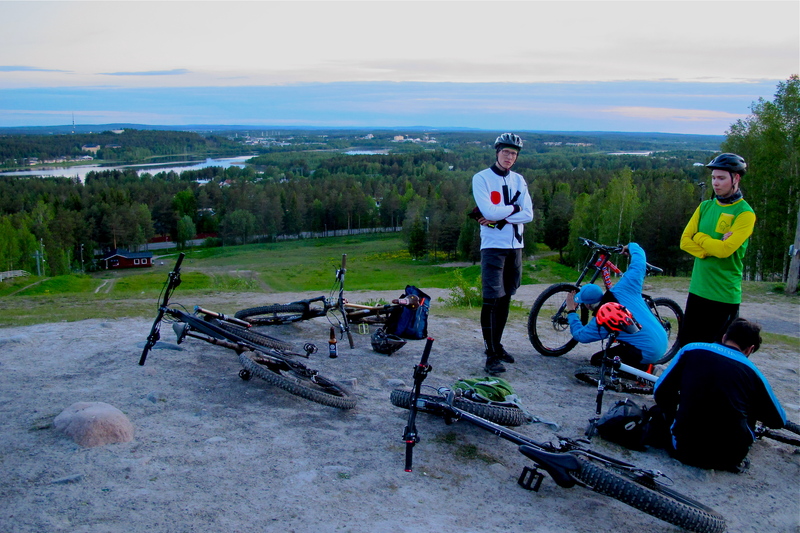 We met up around 10 pm for a 10 km ride to a small forest lake. I had to force myself since i almost fell asleep while putting my 4-yearold to bed before leaving. But when arriving at the randevou point in full sun light it was totally worth it. 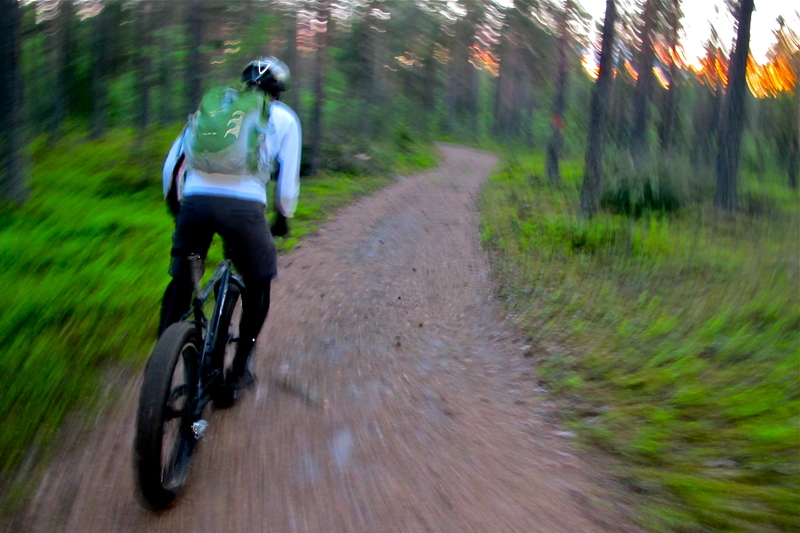 We took off in to the forest on quite technical trails. Lots of roots and rocks. To stop and have a chat was not an option. Mosquitos are quite eager for man-blood. Especially at night. 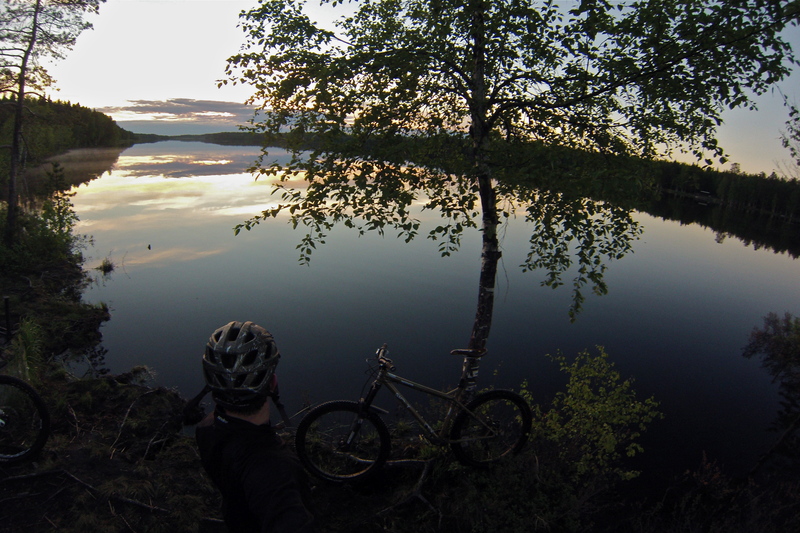 It´s just a 8.2 kilometer ride to the lake and riding thorough the woods at almost midnight is really something else. It has been pretty wet this spring, trails are muddy in some parts and there are loads of wood bridges over the mud holes. I brought the Instigator but should have ridden the Mukluk. 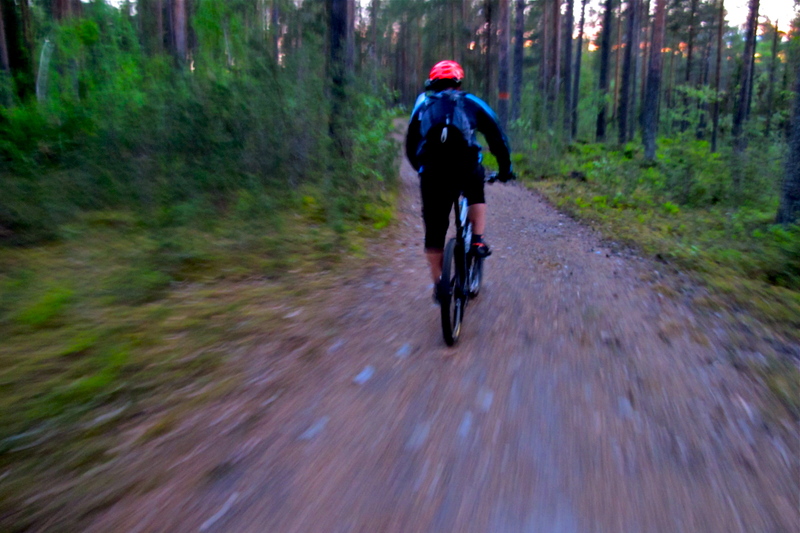 This is fat bike country! After a while the forest opens up an we arrive to the lake. This is really something. On Midsummer solstice the sun stays down for about one hour, well “down” it´s more like it starts to set and then have second thoughts and start to rise again. We were not alone by the lake a few midnight sport fishing enthusiasts were already there. 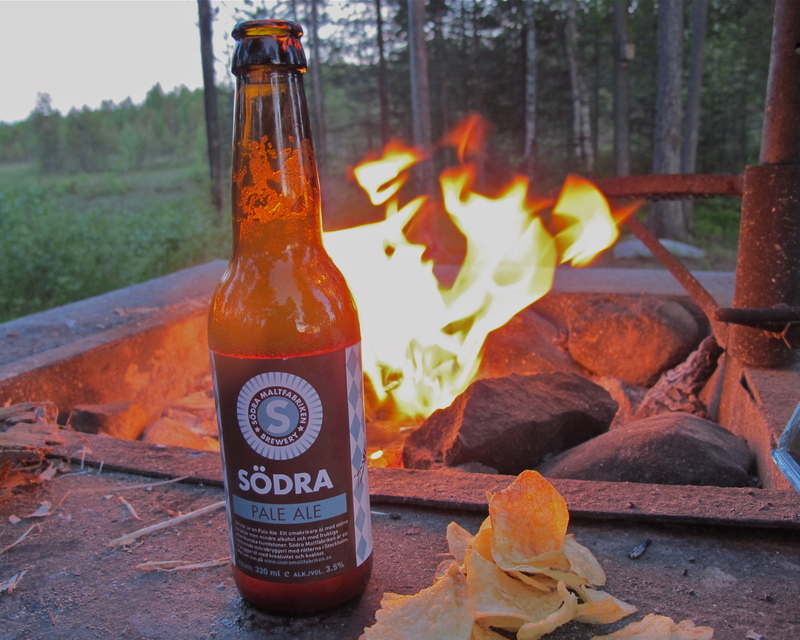 We made a little fire to keep the mosquitos away and cracked a brew. It really doesn’t get any better than this. About 30 minutes past midnight we headed back. We took a different route with some faster trail. Good stuff. These bright summer nights makes an amazing contrast to the dark winter. In december we only get two hours of day light. Around 01:30 i parked up the Instigator in the garage. This will defenetly be a tradition i’ll be taking part of in years to come. Gonna try to make it in December on the darkest day of the year. Nice pics… Hoping for good weather this weekend for a trip to Wales. Looks mad! We had a Finn at our camping in Hungary for the Solstice and he was drunk as a skunk by 10am because he said that it’s what Finns do on the solstice. I guess all of Scandanavia was celebrating in one way or other hey?